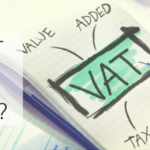 Do I pay VAT on excess mileage from my lease company? "Do I pay VAT on excess mileage fees from my lease vehicle?" this is one of our frequently asked questions. If you do end up going over the mileage agreement on your leased vehicle then the short answer is yes, you do pay VAT on excess mileage on a lease car. Lease cars have a mileage allowance to cover depreciation of the vehicle during the lease. Vehicles lose value the more mileage they do and to cover the estimated loss on the vehicle the lease company base their fees on the expected depreciation. The amount you pay on your lease will vary depending on the amount of mileage you are expecting to do. Your estimation at the start of your lease should be as accurate as possible. Factoring in planned trips and long distances if you can. Of course, sometimes circumstances change during the course of your lease which results in the need to do more miles. Perhaps you decide to move home and the property is further away from your place of work leading to an increase in commuter mileage daily. Don’t panic, there are options available to you which we’ll go through in this article.